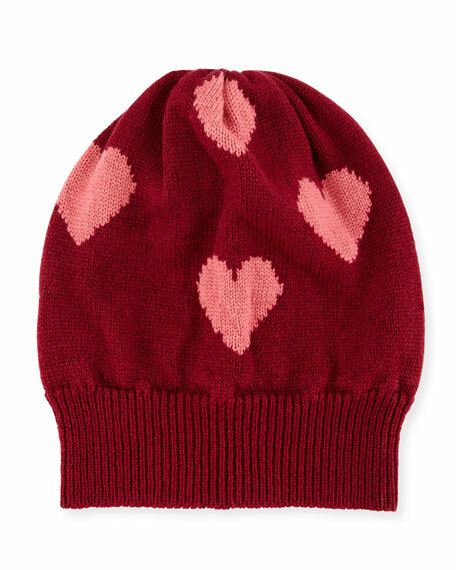 Rosie Sugden knit beanie in cashmere. 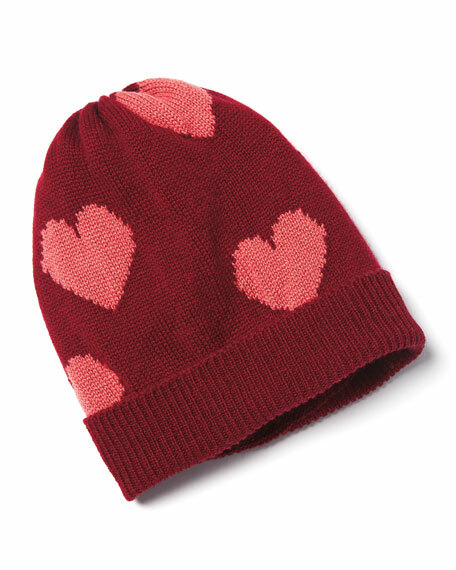 Scattered heart intarsia around crown. For in-store inquiries, use sku #1842532.